Office moving can be a big headache due to the complexity of moving the stuff involved. The worst part is when you are all busy in moving knee-size boxes, it is easy to lose focus and miss important things. Here are some office moving tips that will help you while physical moving of your office. Strategic planning can make a huge difference in commercial moves like office relocation. It makes a hectic relocation smoother and reduces the downtime. Also, a smooth and timely transition to new location ensures there is no effect on office productivity. Generally, you need 6 months to plan office relocation. Make a list of things that you need to carry to the new office location. If you do not plan to take office furniture or other office equipment, consider donating them to charity organizations. Many charity organizations accept old office furniture and equipment, but you have to inform them in advance so they can schedule their pickup as per your plan or convenience. It is not possible to donate everything to a charity organization. Some electronic gadgets hold sensitive data that should not fall into wrong hands. Your organizations would have a policy and practice in place regarding managing such data and electronic equipment. For example, if there are any old mobile phones or laptops lying around, you need to make efforts to give them to companies who recycle electronic waste. But before handing over such devices and equipment make sure you destroy all sensitive data these electronic devices are holding. This is important in terms of company’s data security policies. Business disruptions are common during office relocation, but you need to keep the effects of the office moving to minimal. You need to make a business continuity plan on how things would be managed during office relocation. You cannot keep office closed for a week and most of the office moving work should be planned for weekends. For example, if a business function would be disrupted during weekdays, you need to let your clients and customers know about it in advance. You can keep a designated contact number where clients and customers can connect to your business during office relocation. If a large number of employees would be participating in different office moving activities, designate one employee as an emergency contact. 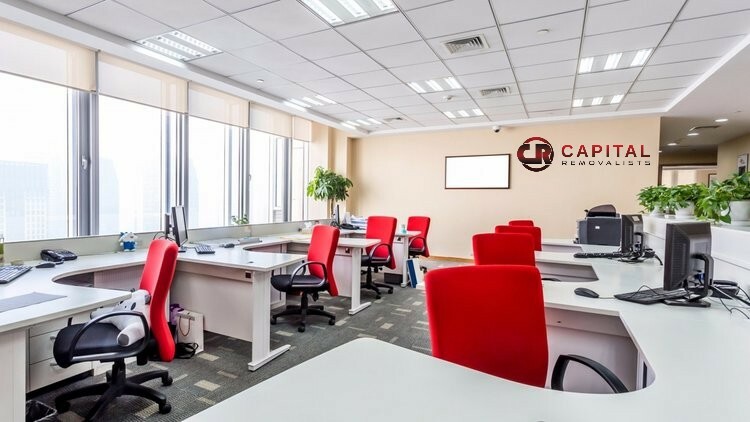 Every commercial building has a set of rules for its occupants and you should know the rules that apply to office relocation. For example, some commercial building societies do not allow transportation of office equipment or furniture during business hours. Such rules are specifically made to ensure minimal inconvenience to other occupants. The best office moving strategy is to move the office equipment and furniture in your new office space on the weekends. Conduct a detailed analysis of office items and make a list of essentials and non-essentials. When planning shifting of office equipment, shift the non-essentials first to the new office location. This will ensure minimal business interruption. Make sure the essentials stay in place until the final office moving day arrives. If you still use paper and files to hold important business data, it’s time to go digital. You can scan all documents and make way for electronic storage. By doing this you will not only reduce office clutter but also optimize your storage. One good thing about digital transformation is you can use the new office space for better business purposes. You also reduce the office moving costs and make the office relocation bit easier and faster for employees. When you are selecting a digital storage unit, make sure it is climate controlled and support biometric security options along with password security. You will need a professional office mover to shift both large and smaller office items. When selecting an office mover, makes sure the company is registered and insured. Hiring a professional office mover has its own advantages. The move manager can handle the office moving details for you. For example, if the move manager is shifting IT installations, you can keep the IT install team ready at the new office location to ensure the installation of the IT systems are completed on time as scheduled. Majority of the employees would be engrossed in their regular office duties and assisting office relocation. This leaves them with less or no time to gather their belongings on their office desks and move them to new office space. While planning office relocation, allocate one day for employees to move their personal belongings to the new office premise. When relocating the office, you need to make sure your vendors, suppliers and other business partners know the new office location. You need to personally inform your business partners about the office relocation. Don’t expect only updating Google My business listing is enough for you. 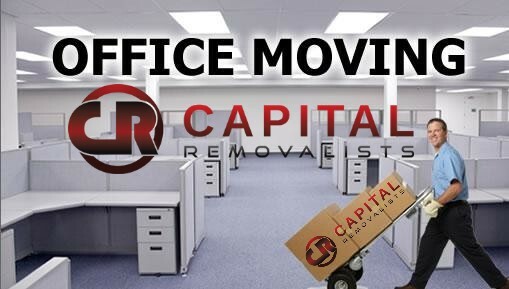 Capital Removalists is the Most Trusted Removalists Melbourne that Offer quality and stress free relocations. We have experienced and dedicated staff who makes your move to fit your needs.